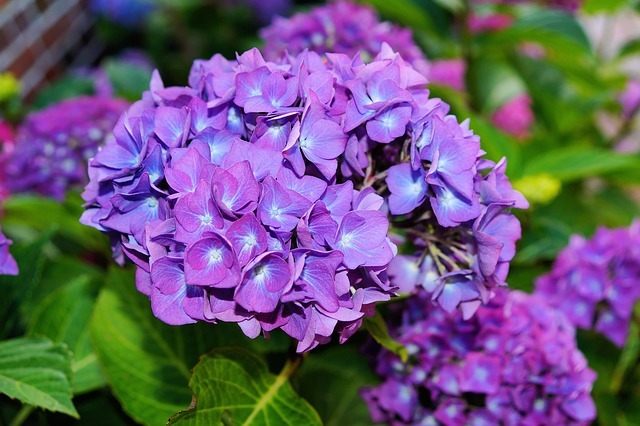 Order:Cornales Family:Hydrangeaceae The Hydrangea macrophylla is flowering plant species, native to Japan. The deciduous shrub is cultivated throughout many different climates and parts of the world. Colors of the shrub include blue, red, pink, or purple. Interestingly, the color is determined by soil acidity, with acidic soil producing blue while basic soil produces pink. The shrub is often used for landscaping. The species leaves have biochemical applications in medicine.